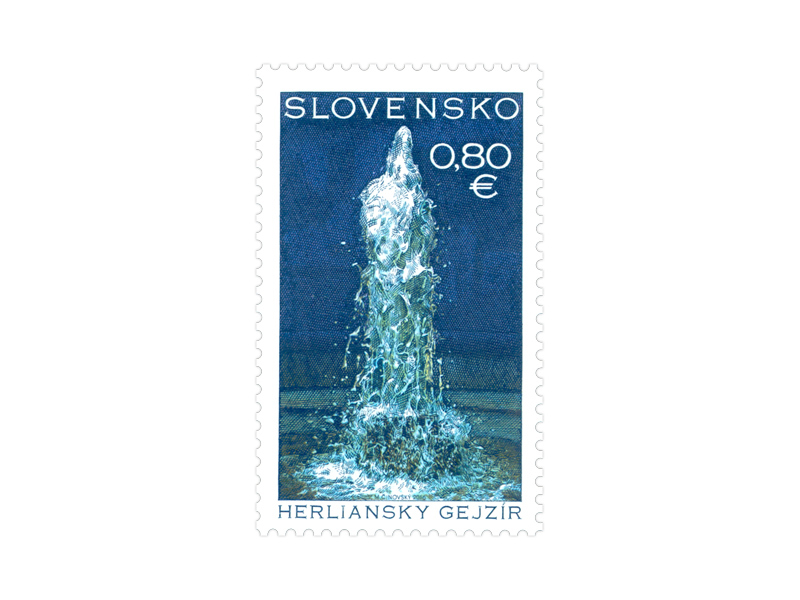 The geyser of Herľany is located in the village of Herľany on the western slopes of the Slanské Hills within the complex of the former Herľany-Rankovce spa. 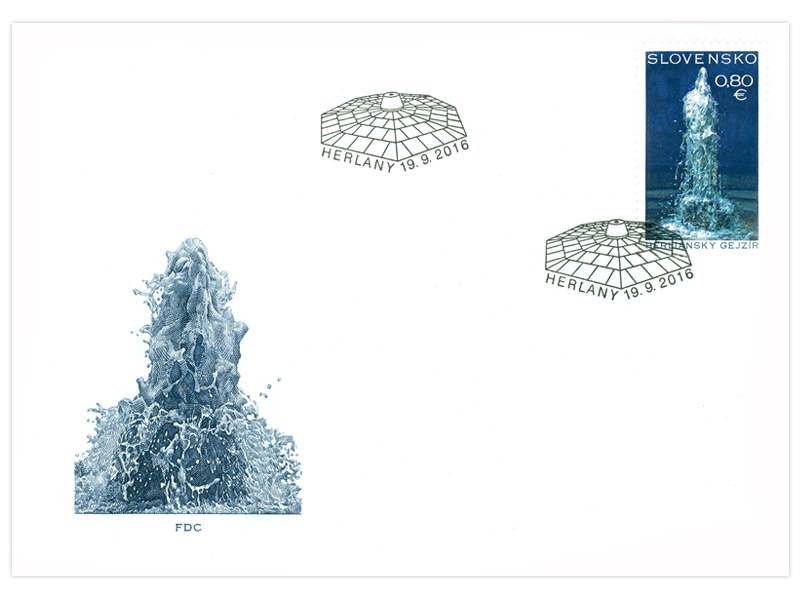 It is an man-made cold geyser which sprang into action after the drilling of a new well that aimed to increase the yield of the mineral springs in the former spa. 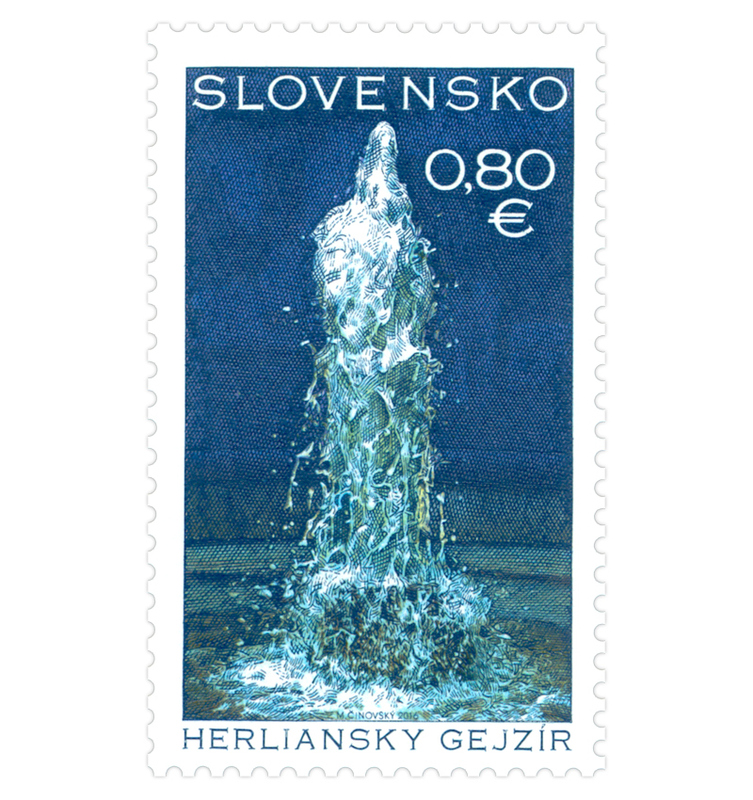 Unlike hot-water geysers, the temperature of the geyser of Herľany ranges between 14 and 18 °C. Drilling activities began in 1870. The first eruption, four to five metre high, took place in 1872 at a drill hole depth of 172 metres. The next eruption occurred at a depth of 275 metres. The largest eruption in the history of the geyser, which was about 112 metres high, took place in October 1874. Since then there have been regular eruptions. The drilling was stopped in 1875 at a depth 404.5 metres. The eruption interval ranged from 8 to 9 hours with flow rate of 21-36 dm3/s. Currently the interval ranges from 32 to 36 hours, with the height of the eruption ranging between 7 and 15 metres. It lasts approximately 26 minutes and the flow rate is between 25 - 30 dm3/s. The Geyser is unique in the European natural world. For this reason, it was declared a national natural monument in 1987. Its uniqueness is also confirmed by its listing in the UNESCO World Heritage List since 2002.